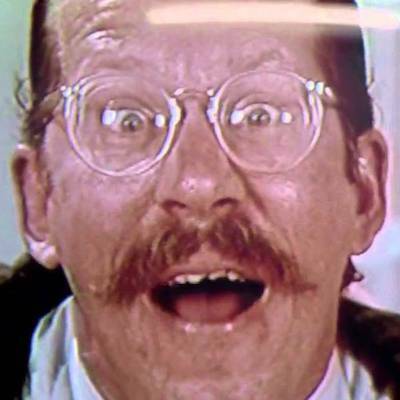 Hello Loyal Listenerds, and welcome to the first edition of I’d Buy That For a Dollar! Every week, I’m going to review at least one digital first, ComiXology original, or indie comic you probably did not preorder from your local comic shop. 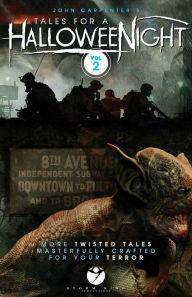 Our main review will be a book you can purchase on ComiXology right now for $0.99. Solicit: Bandette’s quest to acquire “The Artists Studio,” a painting of special significance to Inspector BD Belgique, continues! But not only are her efforts hindered by the sly Femme Felon, dapper Monsieur; lovely Valentina; brutish Micharl; and the murderous Il Tredici – now Chief Inspector Gaines of the Gran Police Ministry has entered the chase! 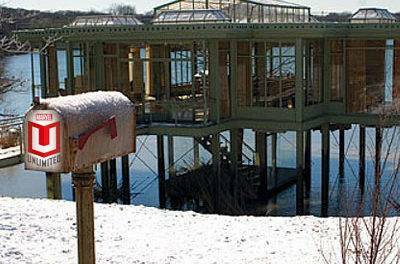 Will Bandette ever acquire the painting and with it… The Six Finger Secret. Intimidated by picking up part three of a six part story in a title you never read? No worries! A recap page comes not as a text dump, but on the form of a several panel grid that gets new readers like myself up to speed. 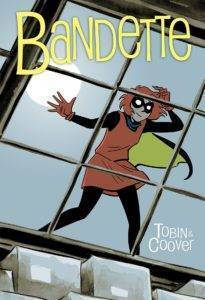 With Bandette, you can imagine that this is a heist book, and just like any heist movie, it’s a ton of fun. Our main character is a charming, slightly unaware character that helps deliver a light-hearted feel, even when there’s a police shootout happening. The supporting cast surrounding our main character is a collection of tropes, but it works. While reading this book, it almost felt as if it was translated from another language, but the constant French interjections were more of a setting tool than a distraction. The artwork is clean and accessible whether this is your first comic or you have been reading for years. Coover does an excellent job of giving each character a distinct feel and over stylized features. It’s rare that a random issue, even one I really like, will drive me go back and read an entire series, but after Bandette #16, I can’t wait to catch up. 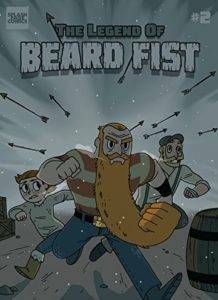 A man with a magical beard that is also a fist goes on travels and fights with a band of misfits. The title of this book explains everything you need to know about it. This is for fans of Shirtless Bear Fighter and Axe Cop. Perhaps not something you want to read month in and month out, but this book is a ton of fun and should be enjoyed by children and adults. The art is for anyone who’s a fan of the current slate of Cartoon Network programs. The style is very reminiscent of Steven Universe or Adventures of Gumball. The line work is simple and full of bright colors. The real reason I downloaded this book was the quote on the cover: “True to life… Almost Tragically So.” – Mark Waid. This book is a semi-true-to-life relationship comic featuring three male friends, all dating different women, and a reflection on those relationships. This is nothing particular special, but if you want a break from capes, sci-fi, and everything you expect from most comics, No Romance is a nice breath of fresh air. The dialogue reads like a real life conversation that you and your misguided friends could’ve had in your early 20’s. The art is very cartoonish, reminiscent of a Terry Moore comic with a Manga bent. The exaggerated style actually saves it from being a dull, talking head book. Ryan Mount writes all kinds of stuff for the Two-Headed Nerd and http://horror-writers.com. He also has one of the greatest Twitter handles of all time.